A group of anti-poverty campaigners have used a protest staged to coincide with the opening of the new V&A Dundee to reissue a challenge to the city’s council leader. Unite the Community Tayside held a series of events in the lead-up to the opening of the facility on Saturday and have asked Councillor John Alexander to discuss what they branded the “obscenity” of the £1billion investment. 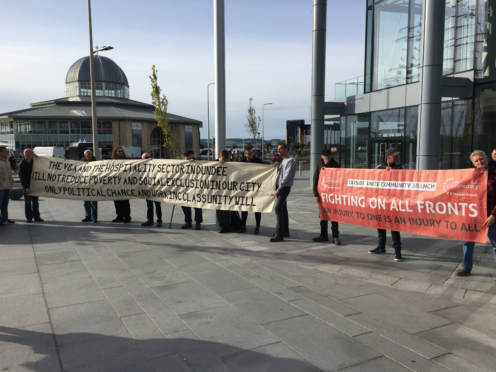 The group held a banner outside the new Dundee train station as the first ticketholders arrived for a first glimpse of the museum on Saturday. Mr Alexander said he will not be “lectured” by the group and insisted he is aware of the city’s poverty problem and working to tackle it. “This is an obscenity while bairns and their folks go hungry, including those in employment in the fabled hospitality sector. Mr Alexander said Unite the Community was failing to understand the wider context of investment in the city, and that the £1 billion is related to private investment in addition to public investment. He added: “I’m a Dundonian, from the Kirkton area, and I don’t need lectured on the realities this city faces — I know them well. “In reality, I’ve been talking about the challenges that this city faces since my first day as leader of the council and acting upon them. “To see the V&A in isolation is missing the point. It’s one part of a 100-piece jigsaw puzzle. 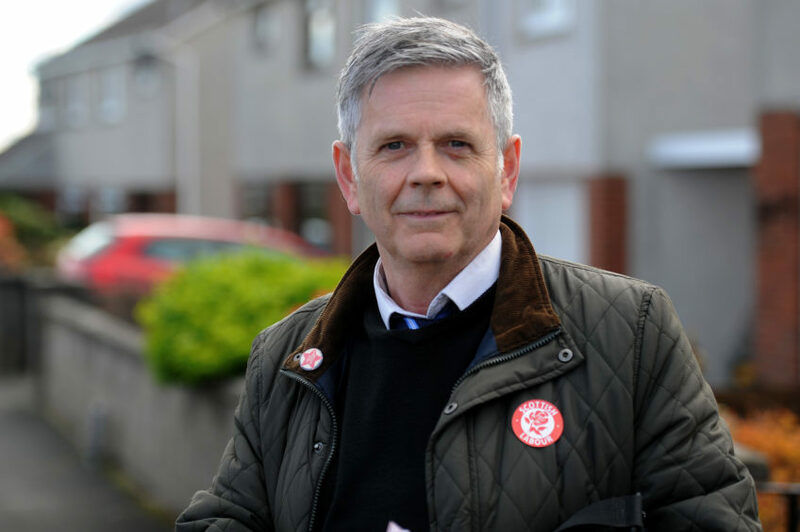 Lochee councillor Charlie Malone decided against attending the opening of the V&A with other council representatives in solidarity with members of his ward living in poverty. Mr Malone said he will visit the V&A “in my own time” but not in an official capacity.